Because so far, all I’m hearing is a couple of journos putting the question to Dear Leader and his faithful little side-kick, Lassie Bill English. 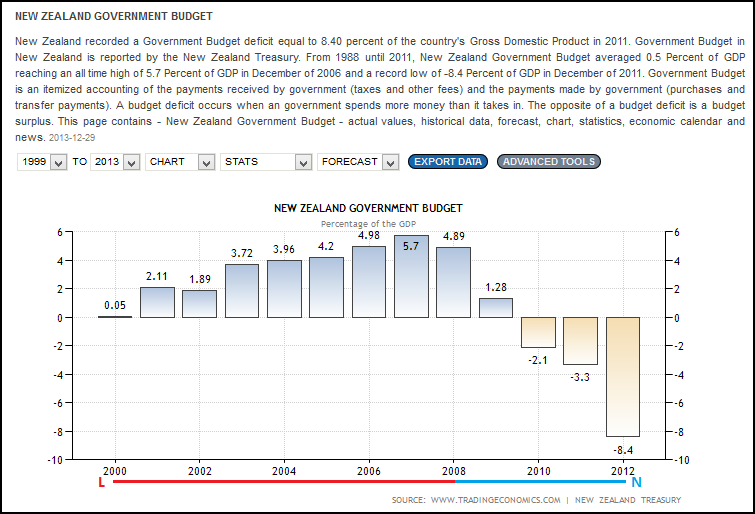 No one else is seriously contemplating cutting taxes – not when New Zealand’s sovereign debt is now $60 billion as at 9 November this year – and increasing by $27 million every day since Key’s hopelessly incompetent government came to power in 2008. According to Hamish Rutherford, writing for Fairfax Media, this equates to $13,000 for every man, woman, and child in New Zealand – and expected to increase by another $10 billion by 2017. We need to address this problem – not fuel it by increasing consumption of imported goods, thereby worsening our balance of payments. For god sakes, stop encouraging National to engage in any further irresponsible slashing of revenue. 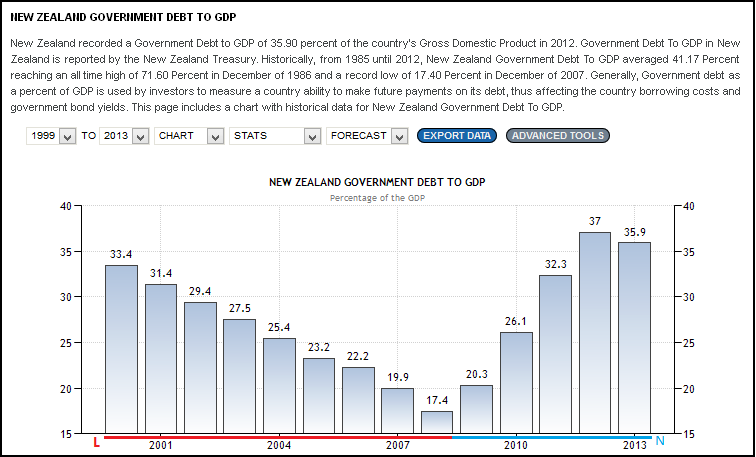 National’s two previous tax cuts in 2009 and 2010 did nothing to help stem the growth in our sovereign debt. Not when revenue fell by up to $4 billion after those tax cuts. For example, why is the Wellington City Mission short of $2 million to carry out it’s valuable work to assist the poorest in our society? It is obscene that the Mission will have to consider reducing some services, as Chief executive Michelle Branney recently suggested. Why are New Zealand’s poorest families unable to afford basic medicines since this government-for-the-rich increased prescription charges in January 2013? When National cut taxes, it attempted to make up for the revenue shortfall by raising GST (despite promising in 2008 not to) and increasing government charges such as for prescriptions, Court fees, etc. Why are New Zealanders needlessly suffering from rare diseases because PHARMAC cannot afford life-giving medication? Why are poverty-related diseases making a come-back with such a vengeance? … report is expected to reveal a 12 per cent rise from 2007 to 2011 in hospital admissions for poverty-related illnesses such as acute bronchiolitis, gastroenteritis, asthma, acute upper respiratory infections and skin infections. Wills also works as a paediatrician in Hawke’s Bay. He said hospital wards were now full of poor, sick children every month of the year – not just in winter. There was no longer a “summer lull” in diseases. English found himself so cash-strapped after their tax cut profligacy that, by 2012, he was even reaching into the meagre pay-packets of newspaper delivery boys and girls to grab extra tax revenue. When children go to school hungry because families cannot afford sufficient food after paying high rents, electricity bills, etc. then there is something seriously wrong with our country. Especially when we are now seeing children eating out of rubbish bins because there is no food at home for them. 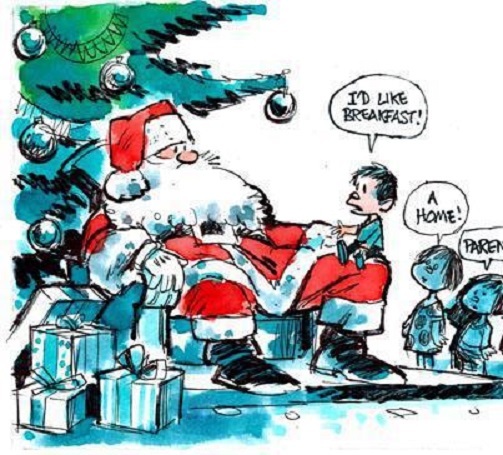 I refuse to believe that most New Zealanders want this kind of society for their children. This is not the New Zealand I grew up in. The next Prime Minister must make this a #1 priority, and begin with taking on the role of Minister for Children and implementing a comprehensive Food In Schools programme (not the shonkey half-measures undertaken by National earlier this year). Next on the agenda; returning welfare payments to pre-1991-slash levels (inflation indexed); reduce prescription prices for medicine; and implement a massive job creation programme. To be fair, Labour’s Finance Minister, Michael Cullen did not have the Global Financial Crisis to contend with. But by exercising fiscal prudence – instead of tax-cut lolly-scrambles demanded by the then-National opposition – he left the country in a fit state to weather the on-coming financial storm that was about to envelope the planet. By the time National came to power in 2008, the global financial crisis was well and truly upon us, with the collapse of Lehman Bros on 15 September 2008. The GFC had started earlier, and signs were apparent to all but the most intransigent optimist that dark storm clouds were on the horizon. As unemployment rose and economic activity slowed, National persevered stubbornly with it’s tax-cut programme – a move that would further indebt this country and put our government’s books back into the red again. At one stage, National was borrowing $380 million a week to make up for the shortfall. The recession was expected to blow a $50b hole in the economy during the next three years, plunging the Government further into the red as costs climb and tax revenues fall. “That’s $50 billion we will not recover as a nation, and $50 billion that cannot be taxed by the Government,” Mr English told a business audience in Auckland. And yet, despite his own candid admission, English went ahead with tax cuts that we could ill afford, and had to make up with massive borrowings; cuts to government services; increased user-pays; mass sackings of state sector worker, and eventual partial asset sales. Even welfare was targetted for “reforms” (read; cost cutting) to claw back government spending. Little wonder that by September 2011, credit rating agencies Fitch and Standard & Poors had downgraded us. Why are we importing tradespeople from overseas when we have 7.1% (153,210) unemployment in this country? That’s the problem with a government that places it’s faith in a free market solution to everything (except corporate welfare) – nothing happens. Wouldn’t it have made more sense to offer free skills training to every unemployed person in New Zealand, along with subsidised accomodation in Christchurch for workers moving from other towns and cities to take up work offers? There would have been a cost, to be certain. But that would have been off-set by (a) reduced welfare payments; (b) upskilled workers who would continue to use their new training for subsequent building projects; (c) more taxes paid by more employed workers; and (d) a flow-on effect to other businesses as income-earning workers spent their wages. The $4 billion frittered away in tax cuts would have made a considerable dent in our unemployment and given a much needed boost to our economy. And by providing work to the unemployed, the government would have saved millions in welfare. But by sitting on it’s hands and doing nothing, National has maintained the status quo; 160,000 unemployed wasting their time, and requiring more of our taxes to be paid for the dole. A fairer taxation system, including reducing (or even eliminating) GST; introducing a comprehensive Capital Gains Tax; looking at a Financial Transactions Tax (or “Robin Hood” tax, as Mana refers to it); making the first $20,000 tax free; and increasing tax for the top 1%. A sensible pricing system for electricity especially for low/fixed-income earners. Increase funding for early childhood education. More state housing, so our fellow New Zealanders have a decent roof over their heads. Invest in public transport, especially in Auckland, before the city grinds to a stop. Those are the things we need to look at. Not cutting taxes for the well off (which is usually what the Nats end up doing). These should be the priorities of a sensible government. Anything, everything, else is grossly irresponsible. Otherwise, what the hell are we leaving our children? 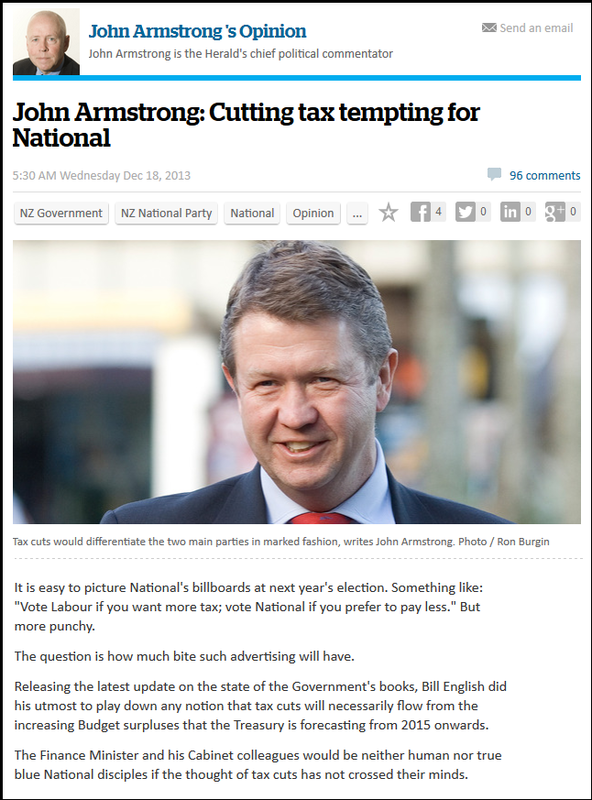 Armstrong’s article on tax cuts features a large image of a smiling David Cunliffe. Note; Cunliffe. Not English, nor John Key. My… that almost sounds like a veiled warning, doesn’t it? This blogpost was first published on The Daily Blog on 30 December 2013.